Thank you for your interest in SCVi! We are deeply proud of iLEAD Schools’ progressive, project-based approach — and the level of independence shown by our learners. Meetings with prospective learners and their families are scheduled on a regular basis. We currently have meetings scheduled for Sept. 19, Oct. 17 and Nov. 14 at 7 p.m. We suggest checking our events calendar HERE for additional, upcoming dates. Once you have attended a meeting for prospective learners and their families, you will be invited to sign up for a tour of the school. Our lottery applications will be available starting Dec. 10 and are due by Feb. 22, 2019. The public enrollment lottery will take place on March 1, 2019. All grade level admissions are done by public random lottery. Through the lottery, we fill open spots and then start creating a wait list. All forms received after the lottery are placed on the wait list in the order received. You do not have to be present at the lottery to receive a spot. After the lottery we will notify parents if their learner was selected via email. To ensure transfer compatibility, admission for grades 10-12 will be recommended on a case-by-case basis after a transcript review. 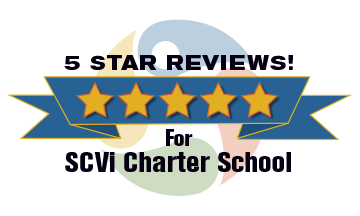 It is highly recommended that you attend a parent informational night and tour the school before choosing to send your child to SCVi. TK learners must turn 5 between Sept. 2 and Dec. 2, 2019. KN learners must turn 5 on or before Sept. 1, 2019.